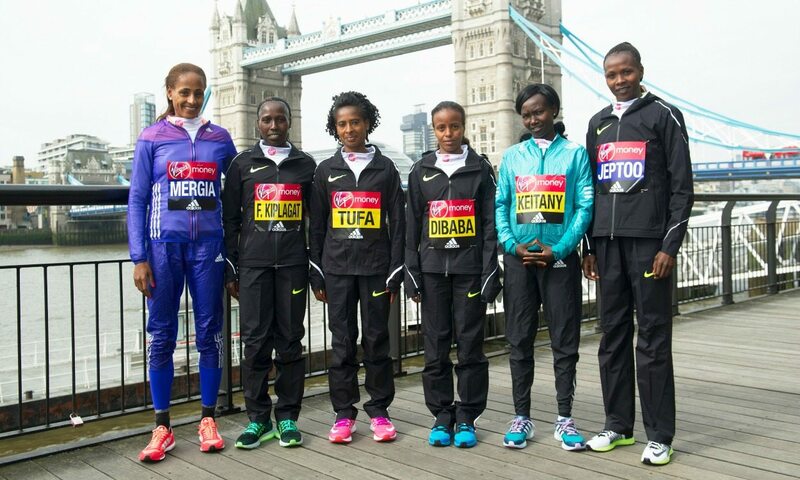 Tigist Tufa returns to defend her crown at the Virgin Money London Marathon on Sunday, but faces a huge challenge from fellow Ethiopian and world champion Mare Dibaba and Kenya’s multiple big city marathon winner Mary Keitany. 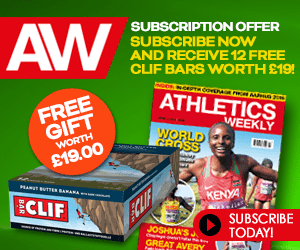 Tufa upset the odds when she outran four much-fancied Kenyans to win last year, unleashing a winning burst in the last three miles to take a surprise victory in front of two-time London winner Keitany. 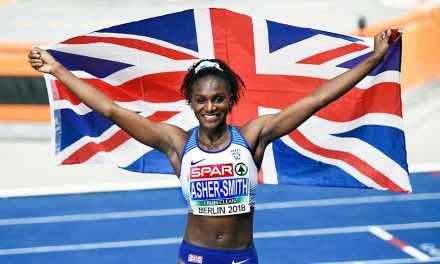 The Ethiopian returns to the British capital determined to show that last year’s victory was no fluke after finishing sixth at the World Championships in Beijing last August. “I have prepared very well for this and want to win again,” she said. 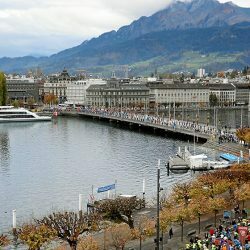 Keitany, as the second fastest woman ever over the marathon distance, is the fastest woman on the start list with her 2:18:37 and beat Tufa to win the New York City Marathon in November, while Dibaba, a former Chicago Marathon champion who runs in London for the first time, is another of the four sub-2:20 runners in the field. 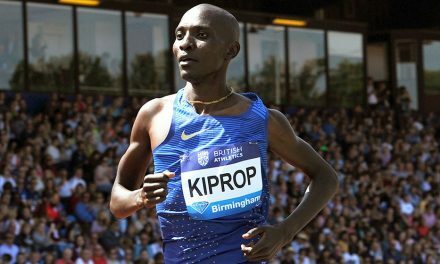 Other major contenders include Kenya’s world half-marathon record-holder Florence Kiplagat, who has run 2:19:44, and Aselefech Mergia, who has run 2:19:31. 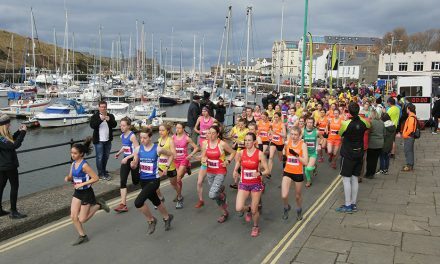 Mergia is coached by Gemedu Dedefo, who also works with recent Boston winner Atsede Baysa, and said that seeing Baysa claim victory on Monday has given her confidence ahead of her own race over 26.2 miles. The 31-year-old was belatedly named 2010 champion after the disqualification of Russian athletes Liliya Shobukhova and Inga Abitova for doping offences and she is looking forward to returning to the race for the first time as a former winner. The Kenyan challenge is completed by Priscah Jeptoo, the Olympic bronze medallist who was a London Marathon winner three years ago, and Jemima Sumgong, a former Rotterdam Marathon champion, while former Paris Marathon winner Feyse Tadese is the fourth Ethiopian athlete in action. Rio Olympic selection will also be a target, though no set selection criteria has been announced for the Kenya or Ethiopia teams. World silver medallist Helah Kiprop is among the pacemakers in London and has been tasked with taking the lead pack through halfway in 69:15. An up-to-date elite women’s start list can be found here. The first two British women home who have the Olympic qualifying time of 2:31 will be guaranteed a trip to Rio as part of Team GB. 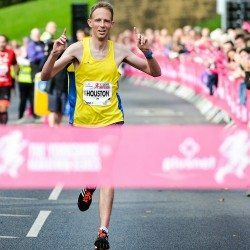 That puts Sonia Samuels and Alyson Dixon in the driving seat as they both beat the standard at the Berlin Marathon last September with respective times of 2:28:04 and 2:29:30. 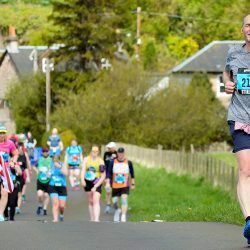 Susan Partridge could also be in the mix after coming desperately close to the selection time in Chicago last October, while Freya Ross has high hopes of making the Olympic team again after running at London 2012 as a late replacement for Paula Radcliffe. Following five weeks of training in Boulder, the Steve Jones-coached athlete said she is looking forward to racing feeling “strong and fit and confident” having struggled with injuries over the past few years. Watch out for debutante Charlotte Purdue, too, as the 24-year-old who won the European under-20 cross-country title in 2010 and European Junior 5000m silver in 2009 makes the step up. 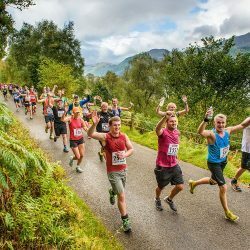 Original entries Jess Coulson, who concentrates on the track, and Louise Damen, who is injured, will no longer be on the start line. The elite women’s race gets underway at 9.15am on Sunday. Tatyana McFadden completed a US wheelchair double and her own London Marathon hat-trick in the women’s race in 2015 with her third course record in three years. She has dominated women’s wheelchair racing in recent years, chalking up 13 straight marathon victories between October 2012 and February 2016. 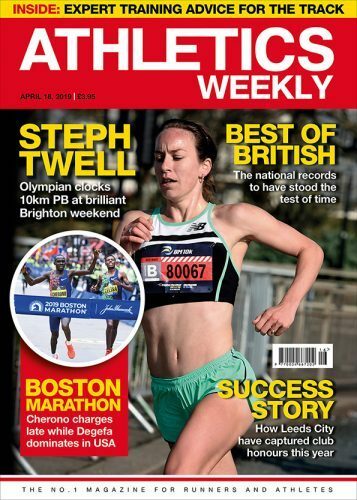 She recently won her fourth Boston Marathon title and in London she goes up against the athlete who ended her winning streak – Wakako Tsuchida – who claimed victory in Tokyo. Shelly Woods is again Britain’s big hope for a podium place. The London Paralympic silver medallist was a commanding winner in 2012 but dropped out last year with a puncture. 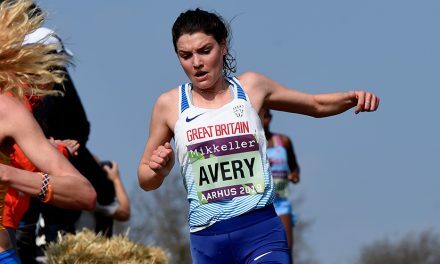 She will be joined by Jade Jones, the 20-year-old three-time Mini London Marathon winner who squeezed under two hours on her full marathon debut two years ago.